Freshwater is one of the most important resources in New Zealand: clean water is vital to our health, it supports New Zealand’s unique ecosystems, it is essential to many of our key industries (such as farming, forestry, tourism), it provides nearly 60 percent of our energy through hydro-electricity, and it plays an important role in our cultural identity. Freshwater management is fraught with contentious issues with a diverse range of parties interested in managing water allocation and improving water quality. 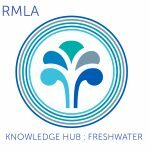 The Freshwater Knowledge Hub is a forum for scientific, technical and legal issues on freshwater to be explored.